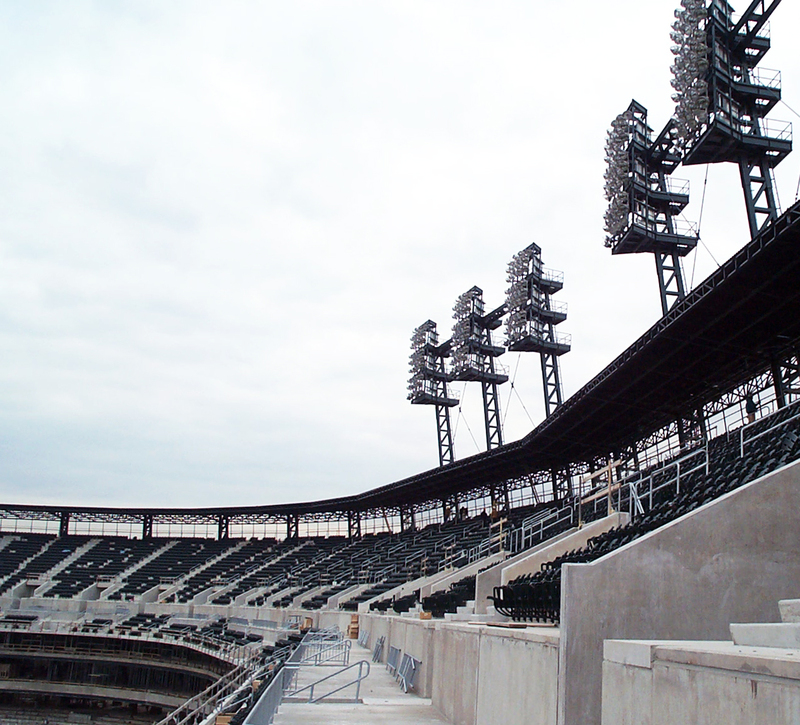 As electrical design assist partner for the construction of the Major League Baseball state-of-the-art Comerica Park stadium, Motor City Electric Co. collaborated with Hunt/Turner/White – the general contractor, project designer, and project engineering team – from conceptualization and design through implementation, construction, and closeout. 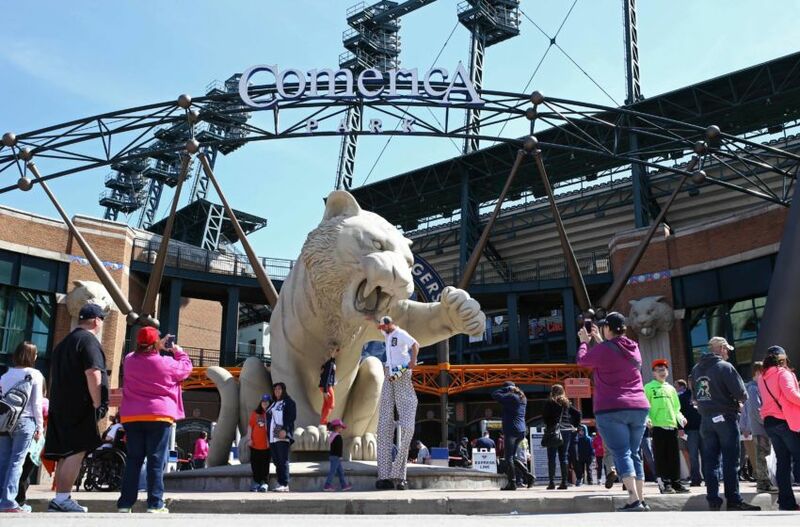 Motor City Electric Co. was instrumental in the installation of systems for the three-level, open-air stadium and the associated 70,000 square feet of retail space and 36,000 square feet of office space for the $30 million project. 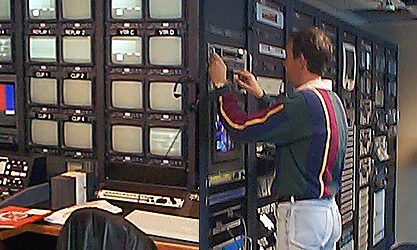 This included, but was not limited to, lighting, television broadcast, sound communications, fire alarms, and security. 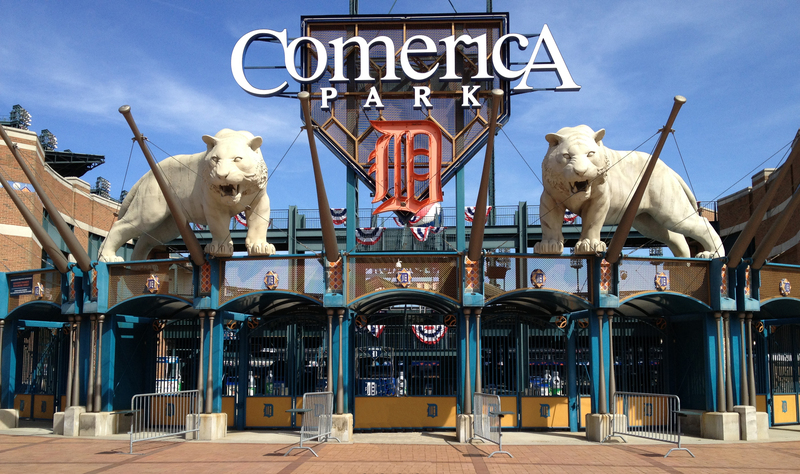 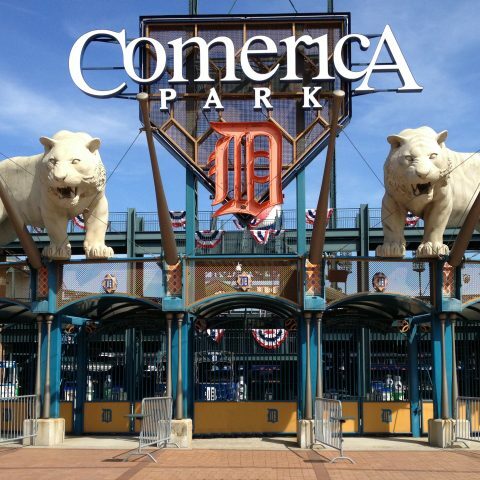 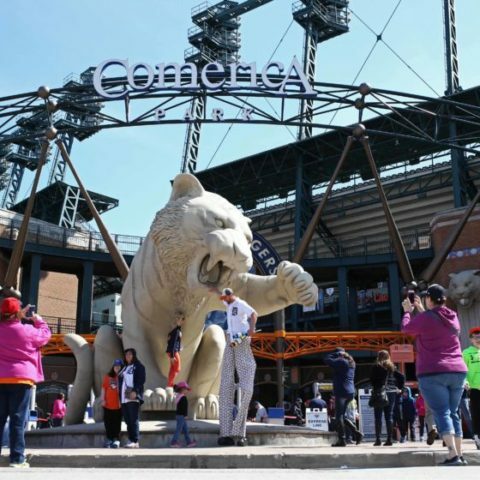 Comerica Park incorporates the latest in stadium design and technology including 102 private suites and 760 units of sports lighting equipment. 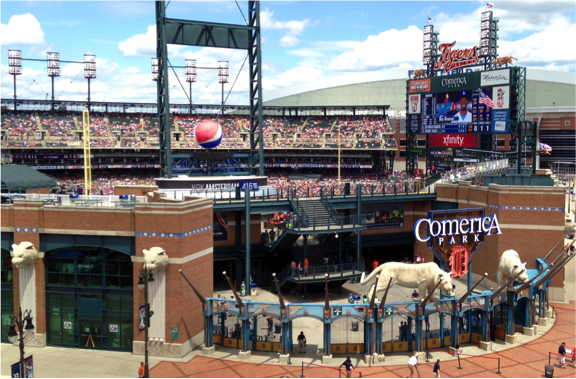 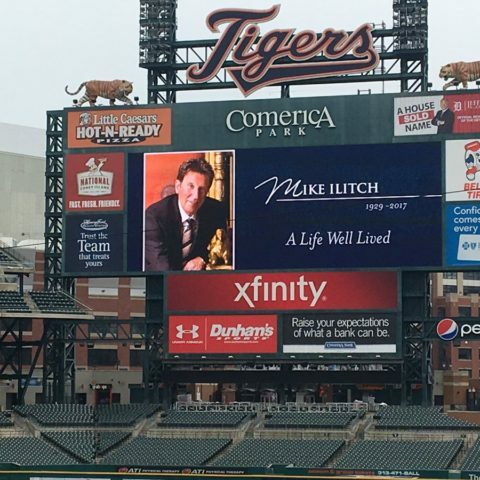 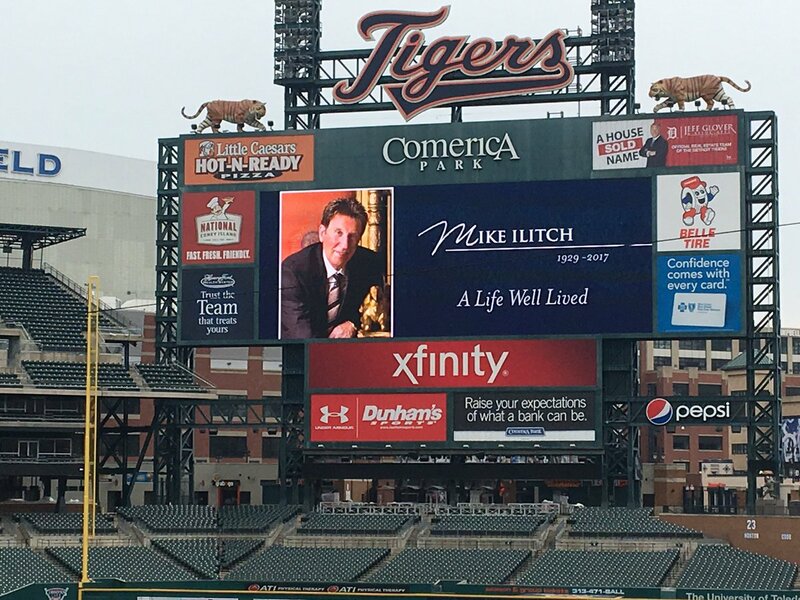 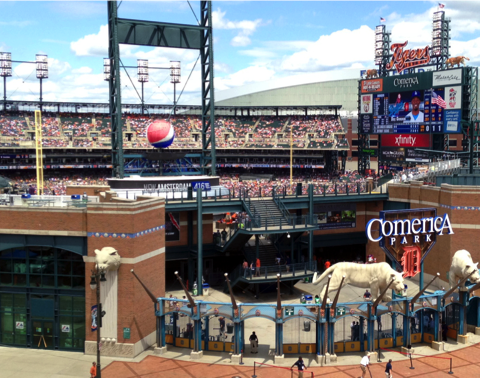 The main scoreboard at Comerica Park is one of the largest in baseball, measuring 6,096 square feet. 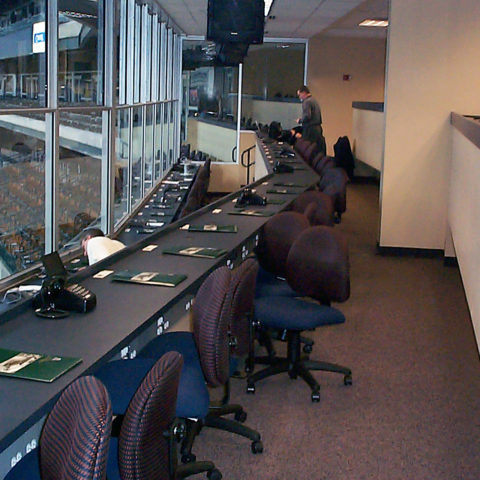 Scoreboard video content is provided by an HD control room with multiple camera angles for replays, as well as pre-produced highlight videos and interactive fan features. 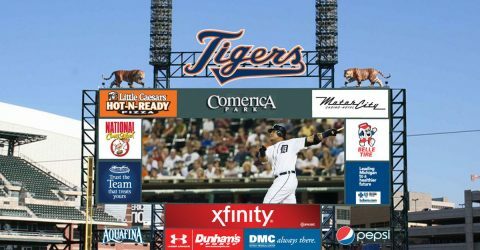 In addition, more than 1,000 feet of LED ribbon boards provide up-to-the-second statistical info and HD graphics, further enhancing the game day experience at Comerica Park. 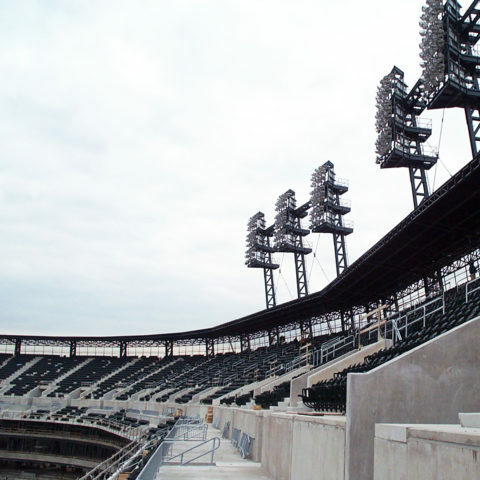 The 760-unit sports lighting includes all fixtures, ballasts, and racks that are mounted on 16 towers surrounding the stadium. 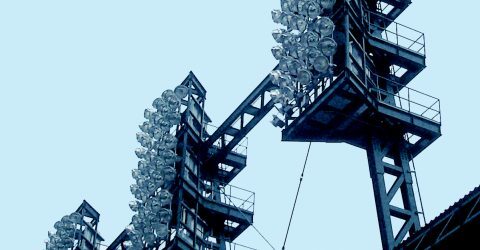 The lighting assembly was completely mounted to the towers and aimed while still on the ground. 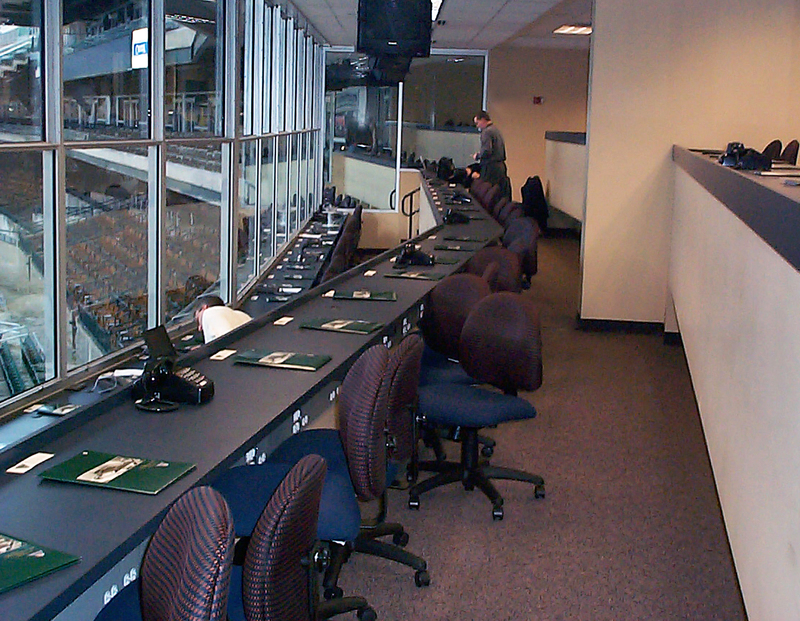 Final adjustment was minimal after the tower was lifted into place. 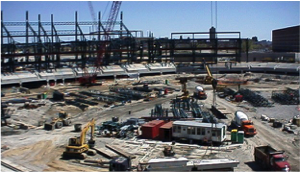 This provided significant advantages in manpower scheduling and costs. 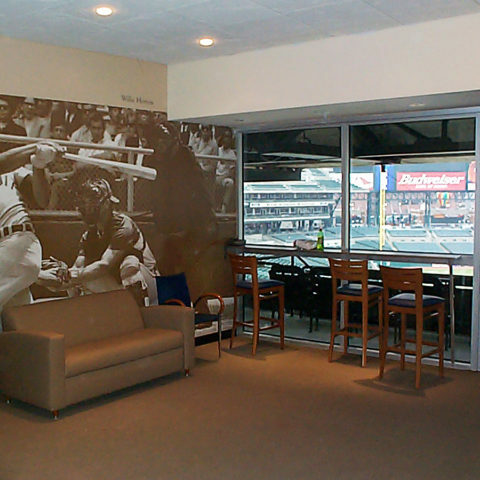 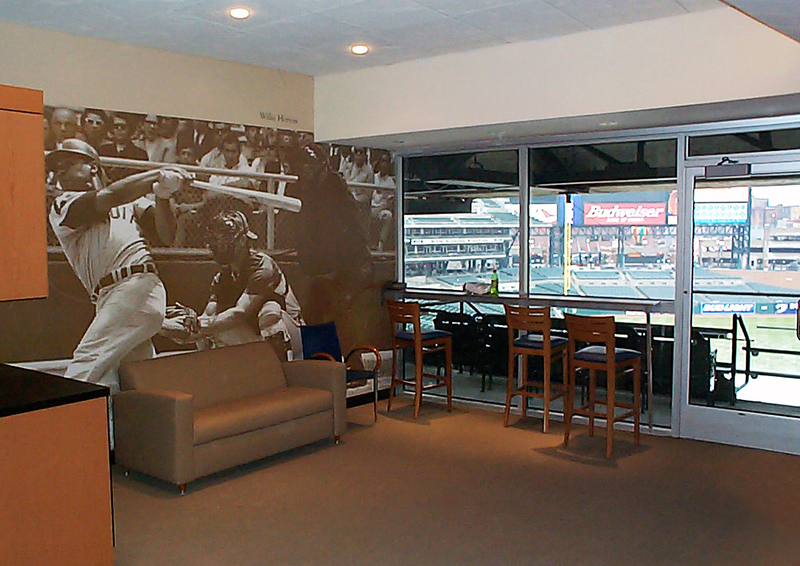 Comerica Park also features a player area including locker rooms with workout facilities and a therapy pool, and a 600-car parking structure with a remote broadcasting center. 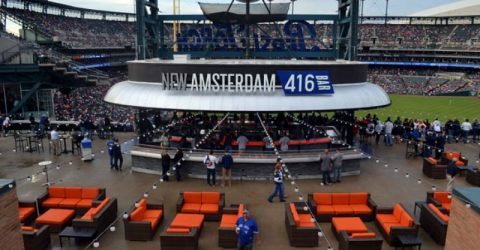 e seats, and an additional 325 places in the Labatt Blue Light Jungle bleacher stands along with a new gathering spot called the New Amsterdam 416 Bar, and amenities ranging from posh furniture to a nearly 50-foot-long bank of natural-gas flames. 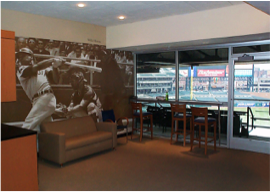 We also provided electrical work for the Miller Lite Pitcher’s Pub, a bar adjacent to Gate B and handy Grab-n-Go near Section 147 where guests can fins a wide range of packaged items including sandwiches, salads, whole fruit, yogurt, beer, soda, juices, and other snacks.